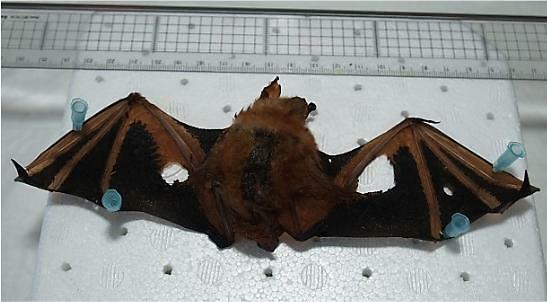 Researchers have reported the first whole genome sequences of Myotis rufoniger, an endangered species known as "gold bat" because of rusty orange fur, which has been protected in South Korea as one the most well-known and iconic wild animals. The research provided a genetic foundation for the protection of Myotis rufoniger designated as a natural monument in South Korea. 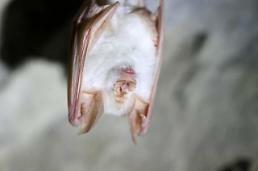 There are only hundreds of "gold" bats found in a handful of localities. "Here, we provide a whole genome analysis of M. rufoniger by producing massively parallel short DNA sequences with its genomic features and unique amino acid sequences, accompanied by its demographic history and genetic diversity," the researchers said in their paper published by PLoS ONE. Their work was led by the Genomics Institute of the Ulsan National Institute of Science & Technology (UNIST) in South Korea's southeastern port city of Ulsan. "Our demographic history analysis found that the effective population size of Myotis clade has been consistently decreasing since ~30k years ago," the paper said, adding the population size of the rare species was the lowest in Myotis bats, confirming its relatively low genetic diversity. "We report the first whole genome sequences of the M. rufoniger with bioinformatics analyses," it said. "These provided us with some speculative insights on how bats adapted to environment sustaining the current behavioral, physiological, and demographic features such as bat's prolonged sperm storage during reproduction, long lifespan, powered flight, low vision, echolocation, possible arsenic resistance, fur coloration, and consistently decreasing effective population sizes in their demographic history."